More about Fazer Dumle Toffee Candies - 7-3/4 oz A favorite among Finn's and sweet-fanatics alike, the Fazer Dumles consist of a soft toffee inside surrounded by a decadent milk chocolate coating. The individually wrapped candies in this 7.75 oz bag are perfect for sharing on-the-go, serving in a dish at a party or stocking up for yourself. It's nearly impossible to just try one!Ingredients: glucose syrup, sugar, hydrogenated vegetable oil, dried whole milk, cocoa butter, whey powder, cocoa mass, , milk, dried skimmed milk, salt, emulsifier (soya lecithin), flavourings. Caramel 75 %, chocolate 25 %. Minimum cocoa solids 30 %, minimum milk solids 20 % in milk chocolate. May contain traces of nuts and almonds. Each bag contains approximately 30 candies. 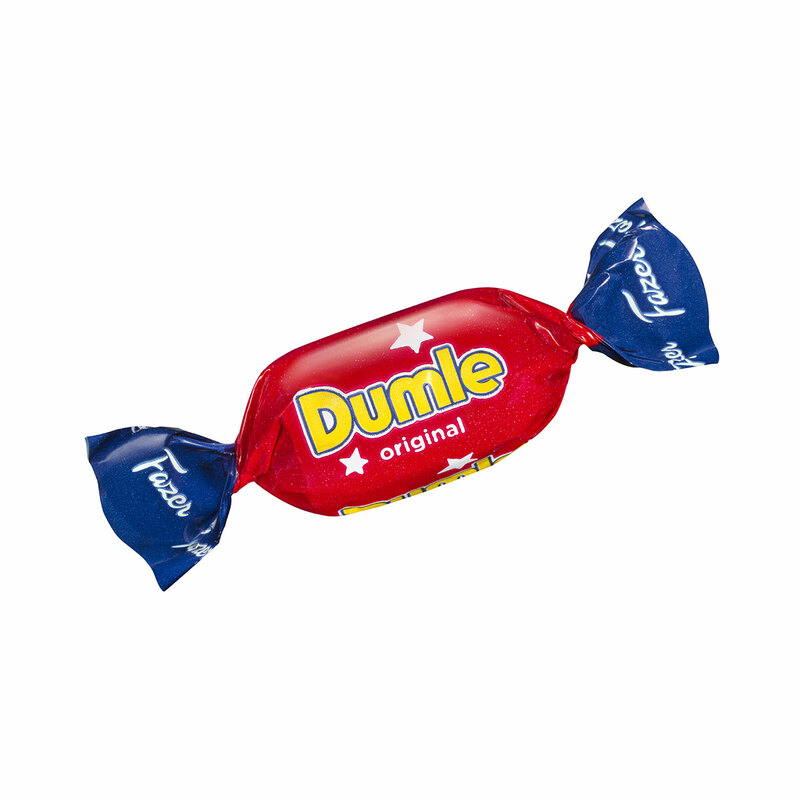 More than toffees as we are used to, Dumles are really chocolate covered soft caramels. Despite the distinction, youâ€™d be hard pressed to find one that is as delicious as this excellent candy. The formula is perfection, the caramel melts so perfectly and evenly in your mouth, the taste evolving as itâ€™s thins and are absorbed by your taste buds. Iâ€™ve never encountered a caramel as tasty and balanced as this one. I guarantee that theyâ€™ll keep you coming back here for more. I think the translation is off - these seem more like toffee-flavored caramels. As I remembered, this brand is kind of like Nestle but (in my opinion) a step up in quality. The toffee is so creamy, and the chocolate is classic Fazer taste. You won't be disappointed with these treats! A wonderful combination of flavors! Awesome chocolate with soft toffee inside - the toffee is so good! Absolutely will buy more - and recommend to others! What a treat! The flavors are amazing and wonderful. ConsSticks to teeth, much like caramel does, so brush about 30 minutes after eating them. Hard to have just one. Biting into these pillows of chocolate and caramel perfection is as close to being in heaven while still on earth. The creaminess of the chocolate perfectly compliments the gooiness of the caramel. Every bite is an extreme pleasure. These are by far my favorite of the Fazer confection offerings. I dare you to share! But you should - your friends will be glad you did. These are my new "weakness" They taste fresh just out from the Fazer candy factory!!!! 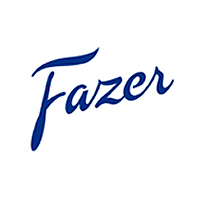 If you love Fazer chocolate, toffee, and caramel, this is the perfect candy for you! So creamy, luscious, and flavorful that it's heaven in your mouth. Better get more than one package because you will eat it up! Stocking up for Summer. Must have these. Excellent product and great customer service getting it! This is my daughters favorite candy! These simply melt in your mouth! The caramel is soft and the chocolate covers it just perfectly. A favorite for both children and adults in our home! Sweet, creamy, and simply delicious! Our family's favorite candy from Finland!! 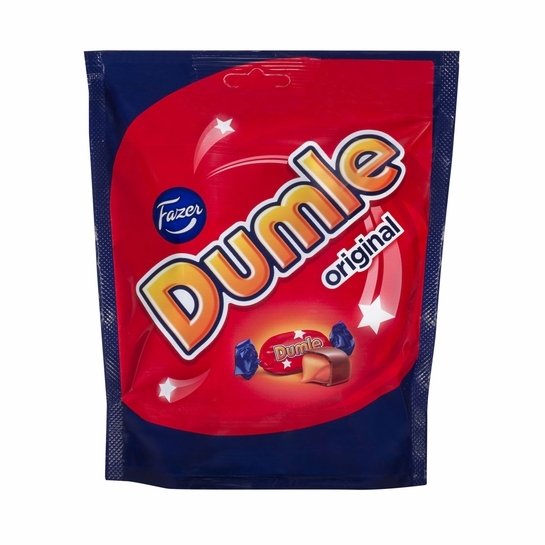 fazer dumle is soft caramel wrapped in milk chocolate. It was very milky and not too sweet. whatever candy Fazer makes you can't go wrong. We don't know what that means,"Dumle"
First time we have tasted it. It was ok. It has something in the ingredients which I didn't care for, but my husband loved them. ProsMy husband liked the taste. The freshest and tastiest treat... Poses just one BIG problem: how NOT to eat it all at once?